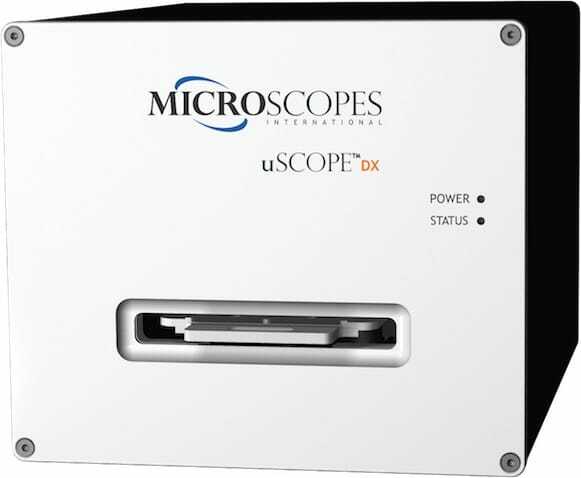 uScopeDX-2060 (20x/60x Objective) Digital Microscope and Whole Slide Scanner :: Microscopes Intl. 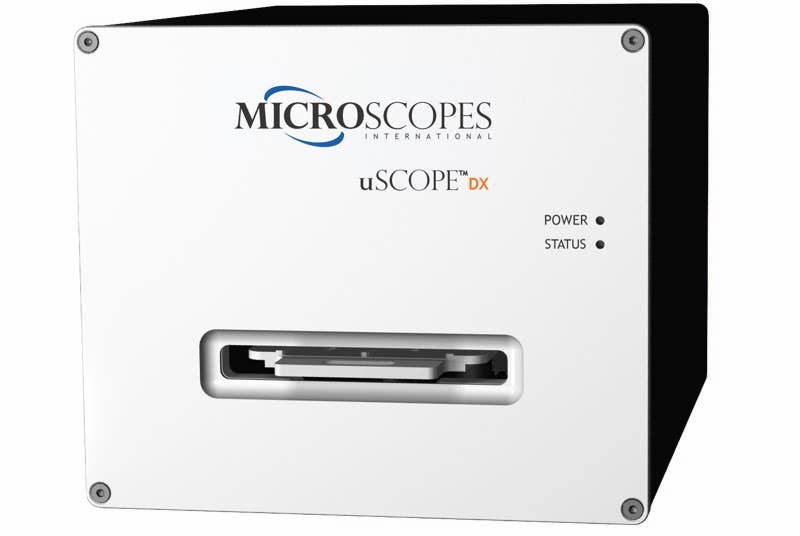 This uScope model is suited to applications where scan speed, high depth of field, and very high NA and image resolution are required. 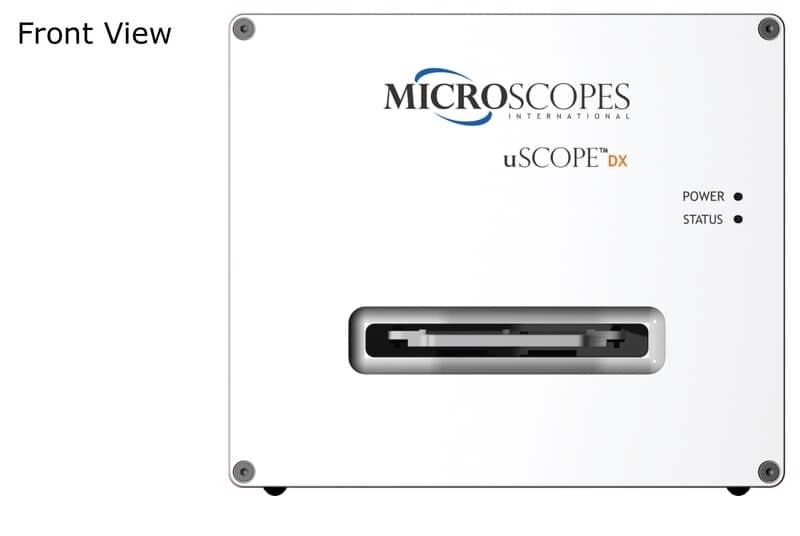 The uScopeDX-2060 is suitable for scanning tissue samples are moderately thick, although flatter samples and smears autofocus and scan faster. 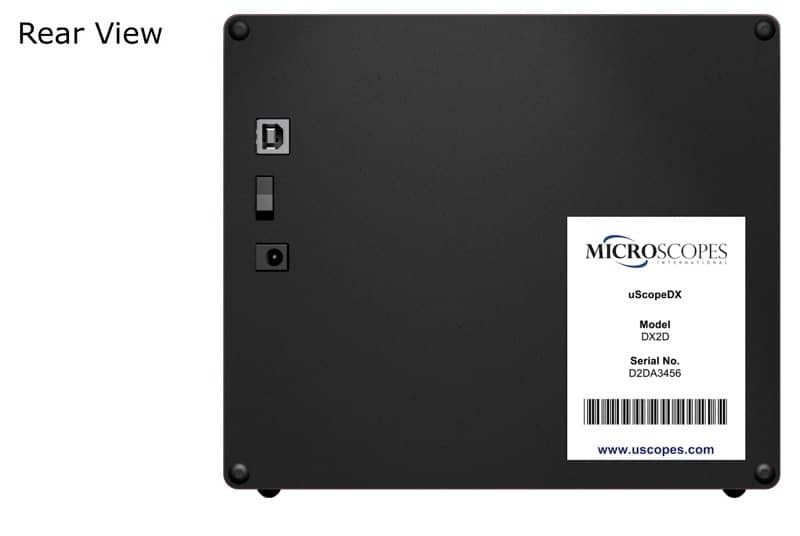 This unit is able to produce very high-quality images while browsing or scanning an area of interest.